Cash Homes Carolina Will Purchase Your Property No Matter What Condition It’s In. We Can Help You With ANY Situation You Are Facing! You fell behind on your payments and are now facing foreclosure. You are dealing with a frustrating tenants or property you haven’t been able to get rid of in the past. You need to sell right away, not months down the road. You received an unwanted inheritance you don’t know what to do with it. You own a house that is vacant or extremely run down and traditional means of selling aren’t realistic. You want to sell without paying commissions or dealing with banks and their red-tape. You are getting divorced and would benefit from a fast and fair sale of the house. You own a house that has repairs you simply can’t afford. If you answered “yes” to any of these, or if you are dealing with a different situation, we can help! You will never have to worry about any hassle or obligation. Our mission is to help people by providing accurate information. We want to help you examine your situation, running the numbers for ALL selling scenarios. 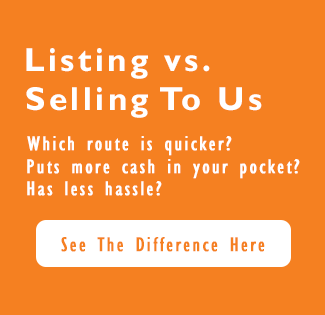 Don’t rush into a listing until you talk to us! Fill Out The Form Below And We Will Be In Touch Within 24 Hours! Or give us a call at (803) 220-3788 to chat with us directly about your SC property!